“I missed my mother’s cooking a lot, but my father used to prepare Indian food for me – steamed rice, mixed vegetables, scrambled eggs, dal, roti – at our BnB accommodation. We had also carried some stuff from home,” the golfer told The Indian Express on her return to India. “The course (Westlake Golf Club) was a tough layout and it was very windy on the first day. I was feeling bad after the poor start. But held things together thereafter, and when we found that I was in the top-20 on the leaderboard among 126 players despite such a poor start, I knew I had a chance,” Diksha says in a halting tone. “I played an aggressive game, but still missed just one green in regulation on the second day. The wind was less of a factor so I could attack the pins and make some putts,” the left-hander said. “Our problem is compounded by the fact that good clubs, especially those customised for left-handers, are not easily available in India. We bought a few good ones in Australia. We have been planning for her career for the last 10 years. 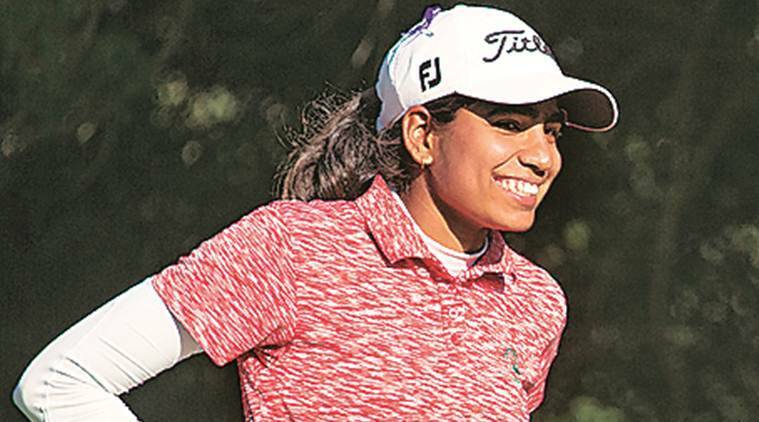 The prize money she has won since turning pro has helped in the financial aspect, but even after her win in South Africa, no sponsor has yet got in touch,” Dagar said.